Trillium could be defined as a Tri-Flower. Today, since there are no Trilliums blooming, I thought it may be a good time to discuss tripods. 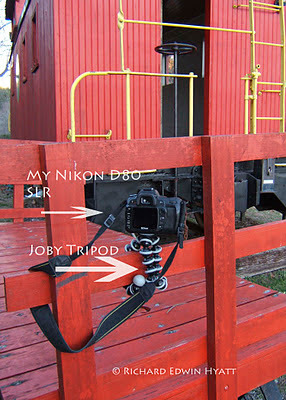 Yes, you will be greatly assisted when using a tripod. Trillium usually grow in moist shady areas and this usually means low light for shooting photos. Another issue is wind. I will discuss this more as time goes by. Since Trilliums are low it will probably be a problem using a full sized tripod. There are many small tripods on the market. 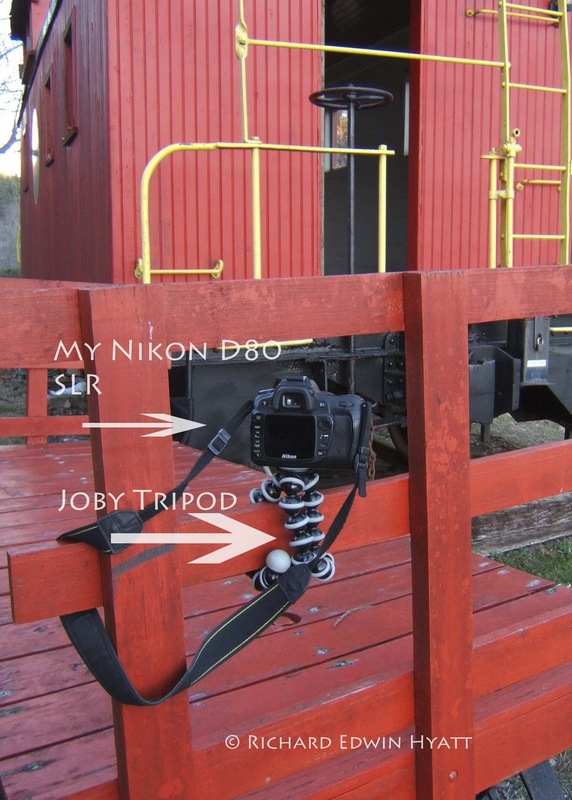 I was lucky enough to receive a Joby tripod for Christmas 2010. Last spring I found it very useful getting down to as low as a couple of inches when shooting trilliums. 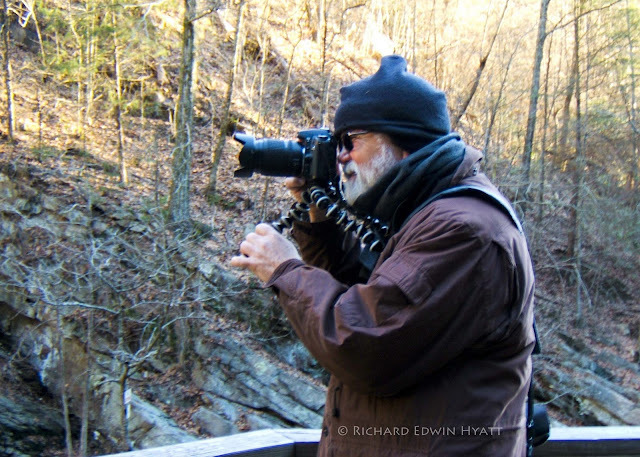 The advantage is that the legs of a Joby tripod are very flexible allowing one to get down low at frog level view. Another advantage of using small Joby tripod is that it has fexible legs. The flexible legs allow you to hold the camera much, more steady when shooting in low light situations. Or, as seen above, wrap around something to steady your camera. Below I am using the Joby tripod, joby.com to shoot a long exposure of a waterfall. I will discuss my gear and gear I would like to own more depth as time goes by. Now is the time to do a bit of planning if you want to take photos of trilliums in the spring. It isn't far away.